EMASESA is the first water company in Andalusia and the second national company that manage the integral water cycle, by volume of customers, with 100% public capital. It is also the seventh national company by volume of turnover in the sector. 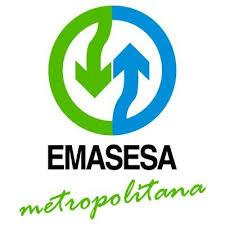 EMASESA began its activity on October 23, 1974, when it was created by the City of Seville as a municipal private company, having changed its denomination as Metropolitan on May 8, 2007. EMASESA manages the direct supply of drinking water in the capital of Seville and other 12 municipalities in the area. He is also responsible for the public sewage and purification service in this area. The organization of EMASESA has been characterized as a pioneering one in the management of the Integral Water Cycle from the public service perspective along with environmental responsibility. Both concepts have also been transferred to the citizenship, obtaining a significant index of environmental awareness. EMASESA has defined a Policy of its Integrated Management System, which encompasses the Quality, Environmental, Occupational Risk Prevention, RTD and Water Safety Plans. EMASESA belongs to national and international networks and platforms in the field like: PLANETA, Asociación Española de Abastecimientos de Agua y Saneamiento; European Public Water.